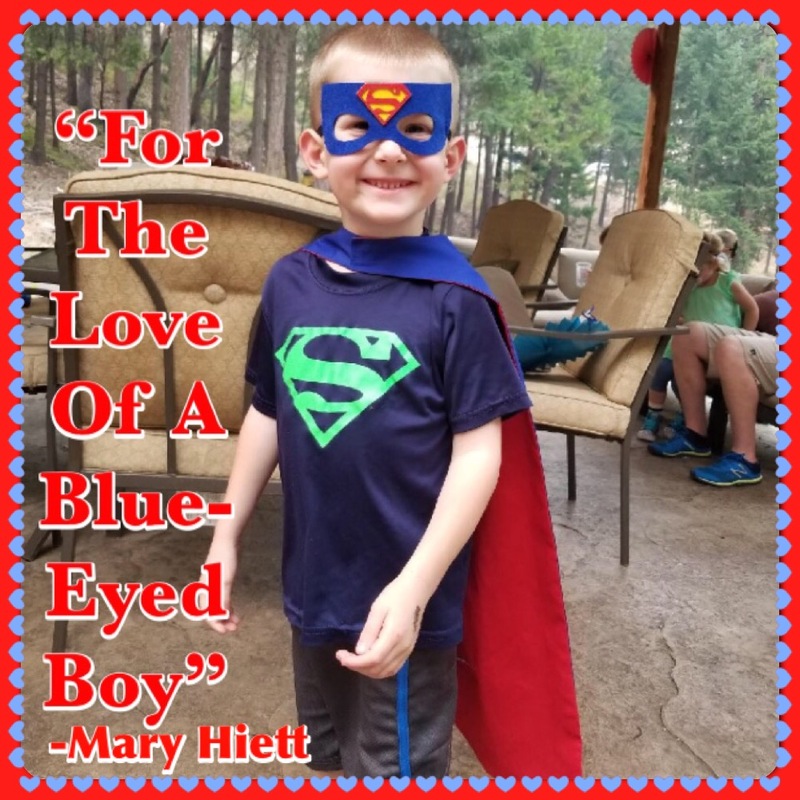 This is the heartwarming, awe-inspiring backstory of the beautiful song “For the Love of a Blue-Eyed Boy” written by Mary Hiett. Mary is also the author of this article. This song is dedicated to this mother, and mothers and fathers everywhere who Foster Care and hope to adopt. Three years ago, my friend, a mother (a mother with several children of her own), came into a situation where she got to know and help a young single mother with a boy under the age of one. As time went on, it was evident, that this little man’s needs were not being met. In fact, it was a heartbreaking scenario. My friend, knowing this situation, was asked if she would be interested in doing Foster Care for this little guy. After talking it over with their family, they felt they were to help in the life of this young boy. Three years ago, at the age of one, and at the beginning of their journey, I met “D.” I started writing the boy’s song, to no avail! So, I stopped. Then last spring, after talking to my friend, I realized what an emotional challenge this has been for all of them, as it would have been for anyone. I have thought a lot about what my friend has taken on, for the last three years – what she and her family have been through and sacrificed. So many trying days, dealing with a little man with many emotions, including neglect and abuse. This amazing woman taught him that arms were for holding and loving. and with her wise maternal inspiration, continues to amaze us, with intuition for “D’s” growth. I now knew that I needed to tell her story through song! I guess that her story is probably not unique to the Foster Care system, but I can say that this woman and her family have nurtured a deep bond with “D”, and vice versa. My admiration for this mother comes on many levels. One of these is that for three years, she has consistently attended “D’s” court hearings, visitation dates, and doctor appointments. All through this messy maze, she has never had a voice or been asked about what she thinks as “D’s” Mother. I’m sure there has been many a tear shed, and rightly so! WELL… This is literally her voice as she is the vocalist for the song. This is her story. I believe it took great bravery to even sing this song. I am so proud of her! Please tell us if the song resonated with you and caused you to shed a few tears. A lovely song and story. A blessed little boy. Yes he certainly is! Thank you Diane . Very beautiful! What a special Mother & little boy! Oh yeah, and composer! Loved it!